Sophia Waterhouse has always been afraid of needles and vampires so there's no way she wants anything to do with a modern day Count Dracula—even if he does come wrapped in the package of a huge Kindred warrior with blond hair and ice blue eyes. She's only on the Kindred Mothership to participate in her sister Liv's wedding and that's all. Sylvan is a Tranq Kindred who has made a sacred vow never to call a bride. After a devastating rejection on his home planet, his heart is a block of ice no one can melt—or so he thinks until he meets Sophia. When their ship is forced down in the middle of a rugged mountain range Sophia and Sylvan are stranded. Running for their lives they have only each other to depend on. 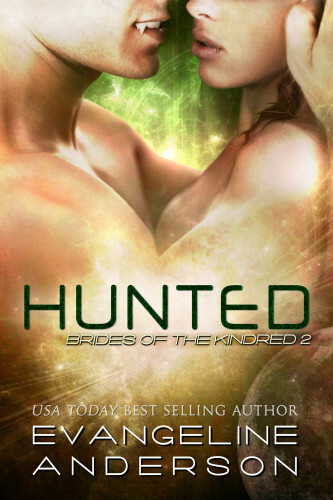 Will they give in to the intense attraction between them or will the evil hunting Sophia take its toll?